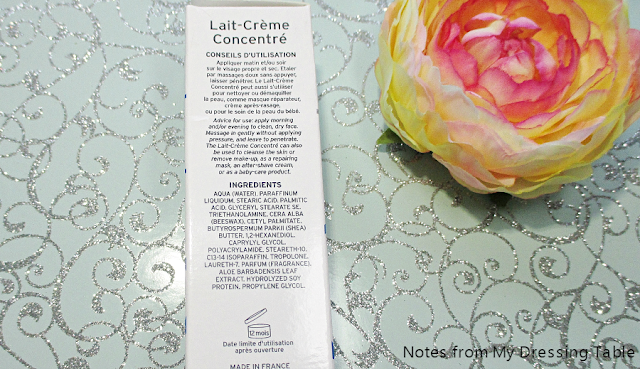 Embryolisse Lait Creme Concentre | Does it Live Up to the Hype? I have been hearing so many raves about Embryolisse Lait Creme Concentre for so long. How it is the greatest moisturizer, ever. The best under makeup primer... You don't need anything else! When I placed a recent Sephora order, I decided to buy a small tube to try it out. See if all of the hoopla bore out. First of all, let me say thee yay! Embryolisse for packaging your Lait-Creme Concentre in an air tight, light safe, sanitary tube. The fact that it is metal is a bit of a gripe, I find plastic easier to deal with but whatever. At least I'm not having to dip fingers or a stupid spatula into a jar. 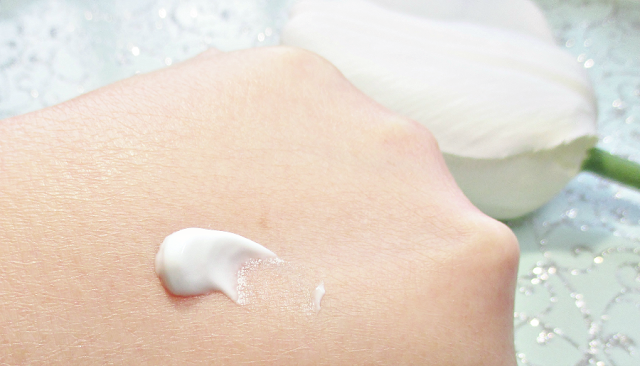 The formula of this moisturizer is a light, slightly whipped texture. It reminds me of creme fraiche, it is very silky and softy mounds and holds it's shape when dispensed. It spreads onto the skin smoothly and absorbs fairly readily and is under makeup friendly. The scent - there is a scent - is soft, creamy-clean-lightly floral. I love the fragrance, it isn't strong and it dissipates as it is applied and sinks into the skin. I don't notice it, once it's on and doing it's thing. If you are opposed to scent in your skin care or very scent sensitive, this moisturizer may not be your bag. You can use Embryolisse Lait Creme Concentre as a makeup remover, an under makeup primer (I prefer to top it with a face primer but that is me...) and even on babies and kiddos. I would skip using this on tiny humans who have sensitive skin. I could not have used this on my son when he was small as he has very sensitive skin and anything that was scented irritated him. Le Ingredients. Yes. Mineral oil. I know that not everyone is okay with it but I don't have any problem using it. Cosmetic grade mineral oil is safe and effective and it doesn't break me out or clog my pores. Embryolisse Lait Creme Concentre has no sunscreen protection, so you will want to use sunscreen before UV exposure. Embryolisse Lait Creme Concentre is for me a lovely, effective basic day moisturizer. It doesn't contain any specialized anti aging ingredients; it isn't going to magically reduce wrinkles or brighten my skin tone. That's fine. I have serums and other creams that do those jobs. It works, smells delightful, makes my skin feel soft and comfortable and it's beautiful under makeup. It doesn't pack the hydration power punch I require in a night cream. I like this moisturizer and I will definitely re purchase when this baby tube runs out. I bought my 1 fl oz tube at Sephora for $16.00. A 2.5 fl oz tube is $26.00. Embryolisse Lait Creme Concentre is also listed on Amazon. I almost forgot to mention. Well, I did, actually, which is why I'm popping back in to do so... Embryolisse Lait Creme Concentre is cruelty free. 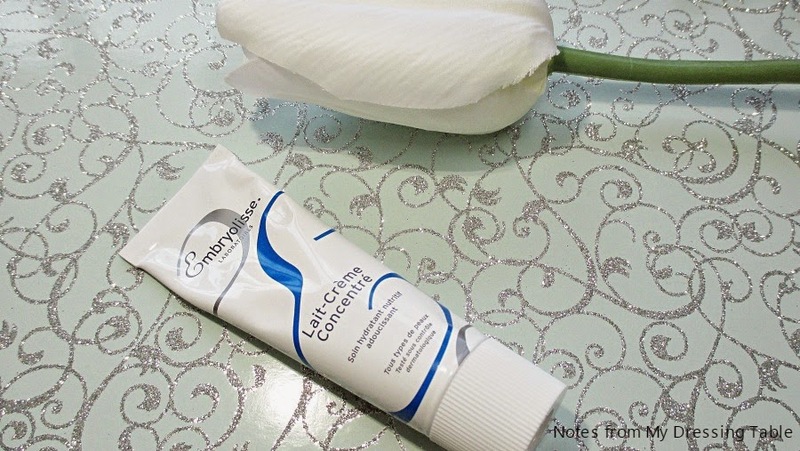 Have you tried Embryolisse Lait Creme Concentre? What do you think of it? Can you believe I still haven't tried this one? I heard some amazing things about this multitasker! I know the name, but haven't tried the product. Thanks for a great review. I almost bought it, but then I didn't think it would be hydrating enough for my older skin. I think that was the right decision for me. I wish it came in a small sample size. Everyone is different, that's for sure. I like it for day but it does bupkis for me for night. I agree... Samples would be nice. Sixteen clams is a bit much to spend on a flyer. It's good stuff! Give it a whirl some day. I have used this brand in my PRO kit for years, I love it and it always works great on clients too! I didn't know Sephora carried this line, I'll have to check it out, as everyone raves about it! I've heard lots about this so I'm glad to read your full review! I'm pretty sure I have a sample of this somewhere, I should pull it out and use it up! I'm glad you liked this - it's my HG moisturizer!!! I've never heard ofthis brand before, but it sounds great! I'm a fan of it. I like to use it essentially as a light moisturizing primer. 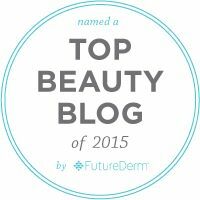 I LOVE Embryolisse and use it frequently. I need to try this again. It was too fragranced for me before but I'm not quite as sensitive now. I have never heard of it but now I want to try it. I've been wanting to try this for ages. I need to pick some up! This sounds lovely for day! I'll have to check out the smaller size and see if I like it, too! If it gets the job done, that's what counts! I know it's the darling of the MUA industry. I do like it for a light moisturizer, which is great for my oily skin. I prefer to also use a primer for makeup staying power, though. This is lovely stuff. I enjoy it for day under makeup and I mix it with my Custom Cover Drops for a lightweight "foundation." It really is. I am enjoying it and I'ma gonna stock up. I routinely use a primer under my foundation, for my dry skin it is crucial. It smooths any flaky, dry spots and locks my foundation down for the day. That was why I bought a baby tube to start. I figured that it wasn't terrible, price wise to try it out and if I didn't like it for my face, I could always use it up as a body lotion or on my feet and not be out a ton of money. Happily, I love it! You really do! This is truly gorgeous stuff. I hope that you do. It's lovely. Okay, clearly, I need to pay better attention to Hautelook! I love this stuff and I wouldn't mind paying a little less for it. I need to try mixing this with foundation. I love it with my Custom Cover Drops. 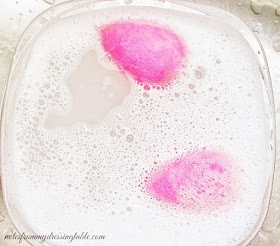 Bounce it on with a damp Beauty Blender and it's gorgeous. It's fast becoming a necessity for me. Give it a try, see if it works for you. It's really good. Yepper! I bought my tube during the VIB sale. I figured it was a good time to try it out. Wondering if using it as day moisturiser, how about sunscreen?? should be after or before it?? Which way is the right one? ?